Samsung Galaxy Note 7 keep losing it.Since the launch of the mobile, Samsung has gone deep in the mud, their reputation ruined, and their global image for standard phones is messed up. Samsung is definitely working day and night to to produce the large number of replacement unit for their exploding Samsung Galaxy Note 7. Almost all the Galaxy Note 7 returned in the US has been replaced. This would have been an 'average' solution, to the whole mess, But unfortunately, it was reported by a Korean reporter that the replaced phone still show some inefficiencies. 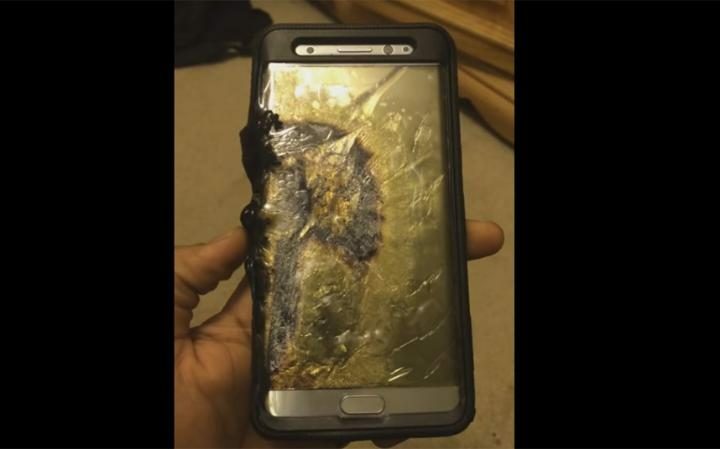 The Reporter, who decided to give the replaced Samsung Galaxy Note 7 a followup, found out that issues like overheating, battery draining very fast, not charging properly and general malfunctioning still plagues the phone. Different claims from different customers filled the report, a certain one said the phone consumes one of the battery percentage per seconds…what? That's outrageous. Another case is the claim that the battery discharges, even when plugged. Let's hope this claims doesn't continue with others, else Samsung may never rise from this ditch.